PHOENIX – The Arizona Nurses Association applauds Gov. 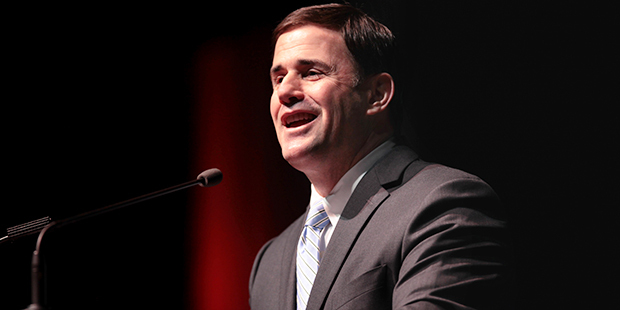 Doug Ducey for standing with Arizona nurses, patients and health care professionals by signing into law SB 1336 (nurse anesthetists; prescribing authority; limitation) – legislation that will expand access to care and streamline needless and anti- competitive regulation. By clarifying ambiguous statute and updating century-old policy to reflect current health care practice, SB 1336 offers a simple solution that will empower hundreds of Arizona’s Certified Registered Nurse Anesthetists (CRNAs) to do the job they love and were trained for: providing safe, quality and affordable care to Arizona patients.  Makes it clear that physicians are not liable for the work of CRNAs. This has been a point of confusion that hospital administrators say is hampering their ability to recruit physicians to work in facilities with CRNAs. Joseph Rodriguez, President of the Arizona Association of Nurse Anesthetists, said SB 1336 is critical for CRNAs, who are the primary providers of anesthesia care in many rural and underserved communities.